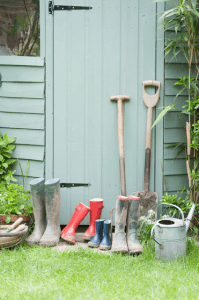 Garden – How gardening can help with stress! You’ve had a long day at work…the phone hasn’t stopped ringing and you’ve had stressful meeting after stressful meeting. But rest assured you can go home and relax over the weekend in your garden, because it turns out, this is one place that can de-stress you instantly! So, what can you do to relax in your garden? Gardening proves to be a massive relaxer, and can help you unwind and forget your daily stresses. Whether you decide to weed, plant, water or deadhead, chances are you will focus on the job at hand and forget all of your worries. What’s more, gardening is a brilliant work out! You’ll use lots of different muscle groups – whether it’s your arms when digging or your legs will pushing a lawn mower, you will certainly feel better for it! Our top tip: Leave your phone inside – this way nothing can distract you from your chill out time. Unlike spending time with your family inside, go outside and you’ll find there are fewer distractions. Your children and grandchildren will not be glued to the TV or technology, but instead will prefer to run around or play catch with you! Our tip: Get the kids involved with your garden – ask them to help you water plants, or even plants some flowers. What’s better than getting together with your closest friends over the summer and having a good old chinwag! Pull out the table and chairs, open a chilled bottle of wine, get the barbeque going, and let the good times roll! 4. Sit back and admire the view. If none of the above are for you, why not just pull up a chair and admire the wonderful view your garden presents. Our tip: Add some fairy lights to your garden, grab a blanket and sit out at your garden at night. You’ll be able to relax under the stars with a nice hot drink and a book – perfect! Got your dream garden? Great – make the most out of this lovely area this summer. 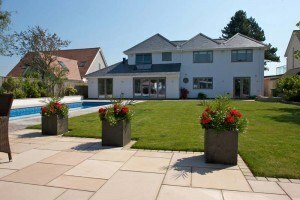 Haven’t got your dream garden? Why not? Get social with us! Click here to go to our Facebook page for inspiration!